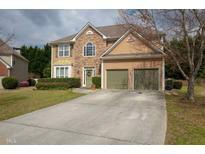 Find Grayson, GA Homes for sale. View Photos, Maps and MLS Data Now! Backyard Is Fenced In With An Expanded Deck Which Provides A Nice Platform For Entertaining Through Out The Year. MLS#6539033. Mark Spain Real Estate. Heritage At Grayson - This Home Has A Covered Back Porch. MLS#8553930. Reliant Realty Inc..
Georgetown Commons - Tankless Hot Water Heater For Endless Efficient Hot Water. Hurry! MLS#8551423. Rogers Realty Consultants Llc. Kitchen Refrigerator, Some Side Porch & Patio Furniture, Wood Working Tools In Garage Attic Storage Including Hoist/Wench At The Top Of Stairs For Loading Of Items Into The Attic Will Remain. MLS#8549768. Black Diamond Communities, Inc.
Pines At Crestview - Fabulous Outdoor Entertainment Area, Convenient To Shopping, Dining,. Your Buyer Will Be Impressed. 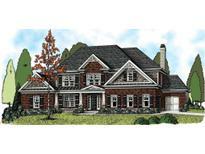 MLS#8548892. 1St Classic Realty. Willow Trace - Lot Of Square Footage For The Money! Great Area! ! MLS#8541119. Lakes Georgia Real Estate. Pebble Creek Farm - New Flooring Throughout, Complete Hardwood On Main Level And Upstairs Hallway, New Carpet In Bedrooms. New Hvac, Gutters And Roof. MLS#8535086. Keller Williams Rlty-Atl.North. 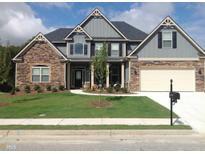 Wheatfields Reserve - Spacious Master On Main With Large Walk In Closet And Lux Bath. MLS#8533680. Compass. Two Secondary Bedrooms That Share A Jack And Jill Bathroom And A Separate Bedroom With Private Bathroom. Subdivision Offers Swim/Tennis/Clubhouse. MLS#8532285. Real Broker Llc. 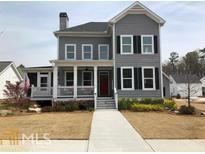 Heritage At Grayson - Hardwood Floors, 3 Car Garage, Covered Porch Are Just A Few Amenities Offered In This Home. MLS#8530070. Reliant Realty Inc.. The Heritage - ** Spray Foam Insulated Top To Bottom, Very Energy Efficient. MLS#8512941. Keller Williams Rlty Atl. Part. Villas At Pebble Creek - You Will Love The Openness And Flow Of This Happy Home. Fha Approved Neighborhood! MLS#6122568. 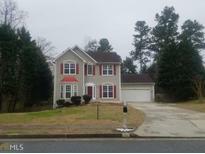 Atlanta Intown Dwellings, Inc..
Pinehurst - Hwy 78, Loganville Highway And Sugarloaf Parkway MLS#8499764. Keller Williams Realty. Wilshire Manor - Other Special Highlights Include A Charming Electric Fireplace, Recessed Lighting And Ceiling Fans, Tons Of Storage Space, Cable Wiring, Intercom In All Rooms And Complete Walk In Closet In Master Bedroom.This Single Owner Home Is Ready For The Next Owners!! ! 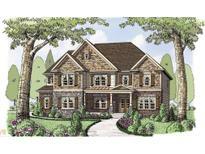 MLS#8483828. Virtual Properties Realty.Com. Highly Rated Schools, Close To Shopping And Dining. MLS#8278004. Keller Williams Rlty.North Atl.